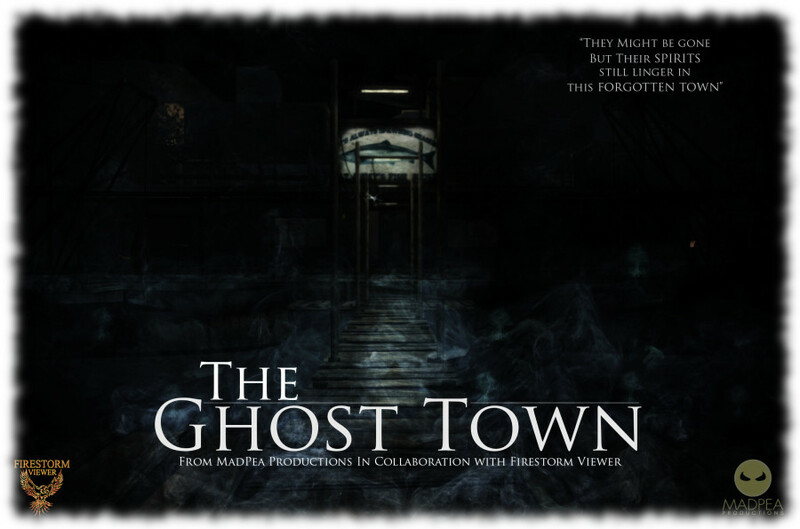 Saturday, December 19th, 2015 marks Firestorm viewer’s official 2015 Christmas Party, and with it comes the opening of The Ghost Town, the first in a series of free-to-play games developed by MadPea Games. These games are intened to give new residents coming through the Firestorm Gateway a means to become more familiar with Second Life through active game play. 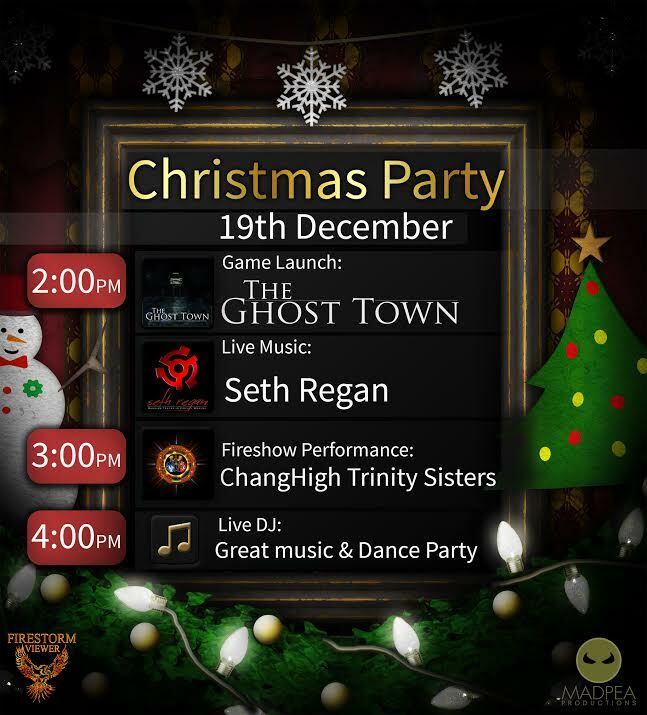 The Christmas party will kick-off at 14:00 SLT, which will also see The Ghost Town open its gates to players, features entertainment from Mankind Tracer, Changhigh Trinity Sisters Fireshow and DJs. The entertainments area has been arranged so that around 200 people should hopefully be able to access the party, with three points of entry provided: Region 1, Region 2, and Region 3. The Ghost Town sees players tasked with investigating the recent disappearance of local fisherman Big Jimmy. Guided by his journal and equipped with a special camera, players follow the clues left by a mind gone mad and discover the terrible truth behind Big Jimmy’s recent activities. What is the dark secret behind “Big Jimmy’s” disappearance – and where will his journal lead new users in Second Life? As with all MadPea games, The Ghost Town is HUD-driven, and as with their most recent games, utilises experience keys to make game play easier. Gameplay takes place within the Firestorm Gateway regions, where they have to collect the images of 20 “ghosts” using the camera (HUD). Once all 20 have been imaged, players are eligible to claim their prizes. The prizes on offer have been selected on the basis of being of value to new users and helping them enhance their Second Life experience. They have been provided by creators representing the rich choice of content available in Second Life: abranimations®, Apple Fall,, Black Pearls, Bryn Oh, Cheeky Pea, Deadwool, Elikatira, junk. Lapointe and Bastchild, Lilith’s Den, Plastik, Pose O’Clock, Sn@tch, Snowpaws, The Little Bat, TrAsHeD, United Color, WarBug and zombie suicide. The MadPea and Firestorm teams both extend their thanks to all of those who came forward with the offer of prizes. New players will be drawn into the Firestorm gateway through a series of dedicated web landing pages that are in developments (Linden Lab, and quite separately to the gateway trial programme, also use targeted landing pages to attract new users from specific audiences, so it is an approach which seems to yield results). Obviously, existing users are also able to play the game – hence the launch alongside the Firestorm Christmas party. So, if you’re in the mood for a party, and fancy a spooky new game – hop over to the Firestorm Gateway regions using the region links towards the top of this piece.